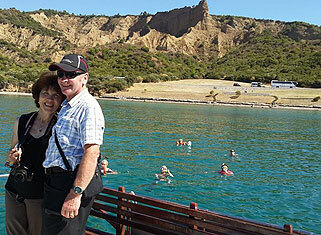 ► Chunuk Bair New Zealand Memorial. ► The battle between Achilles and Paris. ► The 3700 year old city walls. ► Houses of Troy I , 3000 B.C. - 2500 B.C. ► The Bouleterium (Senate Building). ► The Odeon (Concert Hall). ► Current excavations in progress. Board the tourist bus to take you back to Istanbul. * Standart Price 155 Euro is available for Hostel Accommodations. • Free Cancellation within 12 hrs before tour Starting Time.